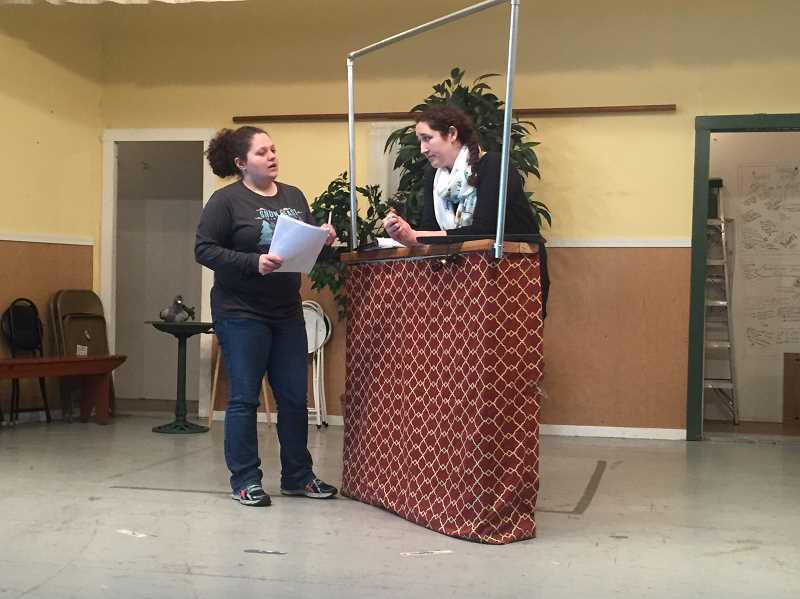 The Springwater Players are doing something different this spring for their annual production — a variety show. 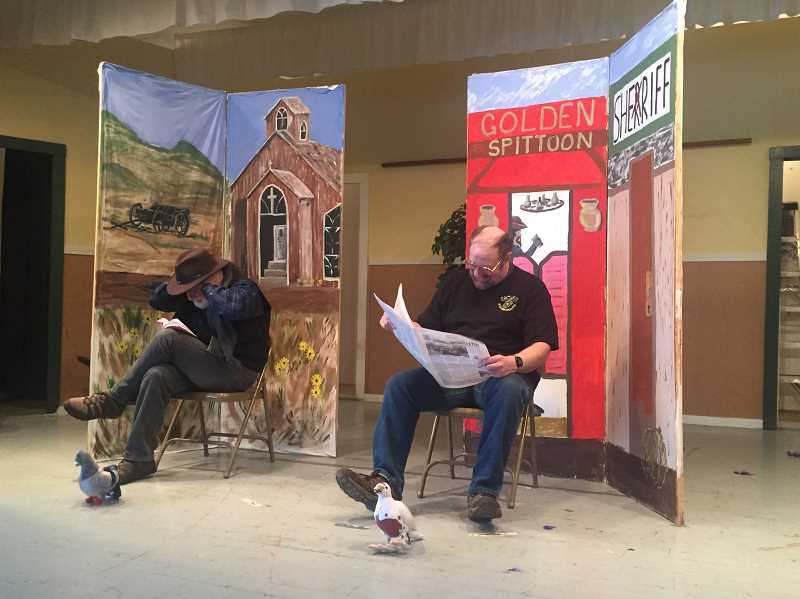 The group usually performs a full length play at the Springwater Grange, but this year, they're tapping into the life experiences and talents within their own ranks. The event, scheduled for 7 p.m. Friday and Saturday, April 6-7 and 2 p.m. Sunday, April 8, features skits, singing and dancing. Radio-style advertisements for other events at the Springwater Grange are also included. Skits in the show focus on many different scenarios, including a difficult trip to the DMV, waiting for a YouTube video to load and a daughter who does not want to go to sleep. The production has serious moments as well, such as a skit about homelessness. Several of the skits were written by the actors. "I like that everything goes wrong," said Jessie Jo Guttridge, reflecting on a skit she wrote about supervillains. There are several recurring themes throughout the production, including pigeons who find themselves in unfortunate circumstances. "It took on a life of its own," Vernon Souders said, discussing the role that the birds play in the show. Kathleen Souders noted that organizing the production has been a dynamic process. "There's so much more going on," she said. "We kept having ideas." 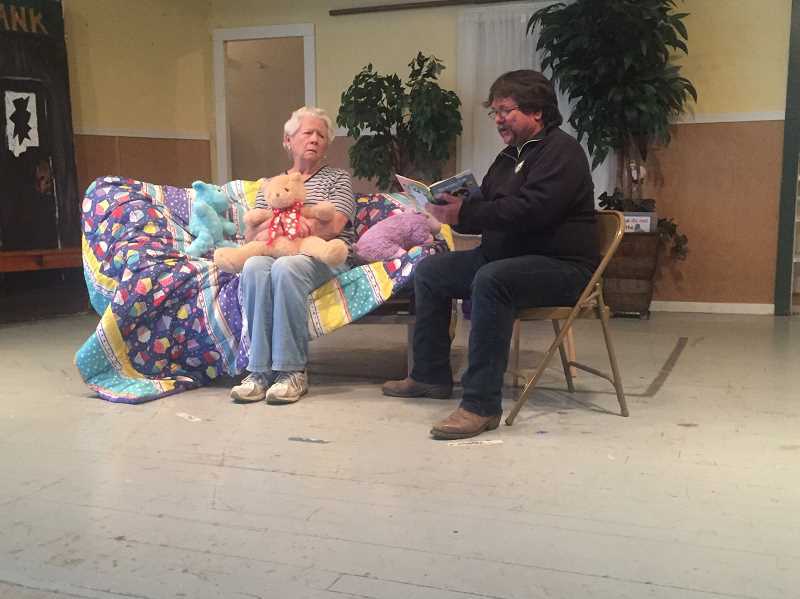 Rather than having a script for the entire show, some elements of the production are completely improvised — including a skit where Greg Jeppeson's character is trying to convince Jeanette Wyman's character to go to sleep. "We just play off of each other," Wyman said. "It's been different every time." "Rather than have everyone learn lines, it's a lot looser," Vernon Souders added. Admission to the variety show is $15 for adults and $10 for children. The event includes dessert. What: Variety show by the Springwater Players. When: 7 p.m. Friday and Saturday, April 6-7, and 2 p.m. Sunday, April 8. Where: Springwater Grange, 24591 S. Springwater Road. Cost: $15 for adults and $10 for children.